A fogonero is a "stoker" or the main person in charge of cooking the agave so it can later be crushed to extract the juices for tequila production. El Fogonero's history begins with Don Antonio Yera, who started working for Herradura around the mid 1920's at the young age of 16. 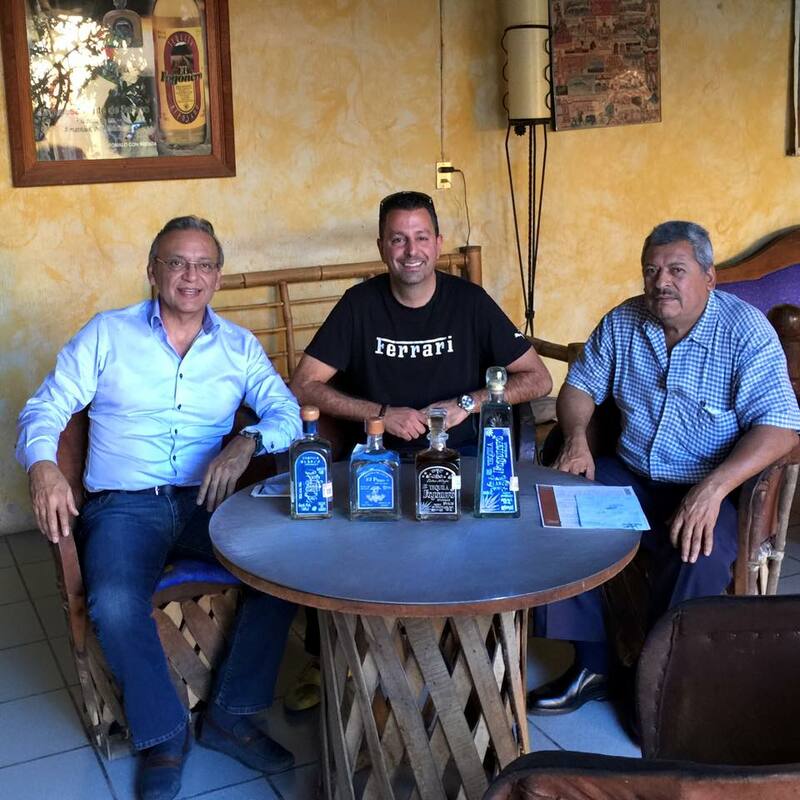 He spent the next 50 years working as a fogonero for Herradura, one of the largest and most respected high-end tequila producers in Mexico. In that time he learned much about tequila production, as he continously perfected and fine-tuned his craft for virtually his entire life. He had a dream of one day producing his own tequila. When he retired in the 70's, he continued working in the agave fields and passed on what he had learned to his 3 grandsons Jesus, Rigoberto, and Antonio. El Fogonero is distributed exclusively in the US by Liquid Gold Distributors, Hayward California. 100% Blue Weber Agave which is slow cooked and double distilled. El Fogonero assures the quality of its tequilas by using traditional techniques passed down through generations. Smooth taste with a sweet hint of citrus. Food pairing: Fresh foods such as fruit, shrimp, cheese. 100% Blue Weber Agave rested for 6 months in charred American white oak. Smooth body with subtle flavors of caramel, roasted agave, and dried fruit. Excellent for sipping, or in a top shelf margarita. Food pairing: Lightly spiced foods, vegetables, grilled chicken. 100% Blue Weber Agave rested for a minimum of 18 months in charred American white oak. Extra smooth with hints of wild honey, vanilla, oak, and dark chocolate. A true crowd pleaser or excellent after dinner sipper. Food pairing: Seafood (shrimp, scallops, crab), steak, or rich dishes full of spice. Our pride and joy. 100% Blue Weber Agave rested in charred American white oak for 48 months. The result is an outstanding silky smooth tequila with flavors of caramel, butterscotch, and warm oak. This extraordinary tequila is best served neat. Food pairing: Spicy foods and deserts.